Another promotional milk cup PWP in a store. 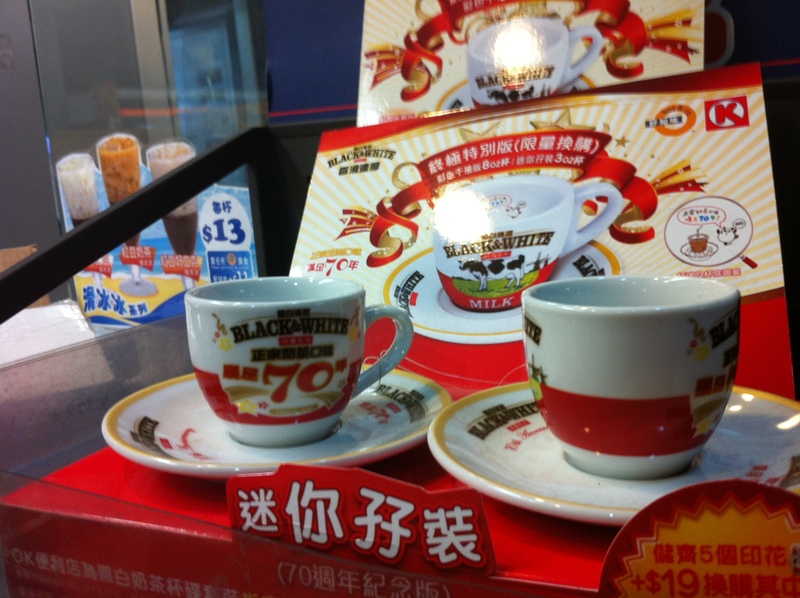 In celebration of 70 years in Hong Kong, Black and White is currently running a purchase with purchase promotion. Buy 5 cans of evaporated milk and get the chance to add money to purchase a commemorative Black and White 70th anniversary tea cups. An essential ingredient in Hong Kong style milk tea, black and white evaporated milk is plays a huge part in Hong Kong’s tea culture. Another milk cup promotion used in store, how successful are they in reality? By conducting this promotion, the label rewards consumers for sticking by them for 70 years. Being a timed commemorative promotion, fans of the drink would be compelled to purchase them as a souvenir. This results in increased revenue as consumers buy more evaporated milk to be able to purchase this item. These kind of promotions should include creative promos to attract customers and make them receive something fun back. This is were giveaways have a huge value for customers. A milk cup can be easily customized according to our size, design, color and shape. Why not include a color box to increase its value? This can also be customized and materials can be changed as well as thickness of the box. We have seen them everywhere now and it is the time where we need to change the items we include in promotions. As the item is used, consumers in Hong Kong will be constantly reminded of the role black and white evaporated milk as their brand of choice, giving long term marketing and advertising impact.